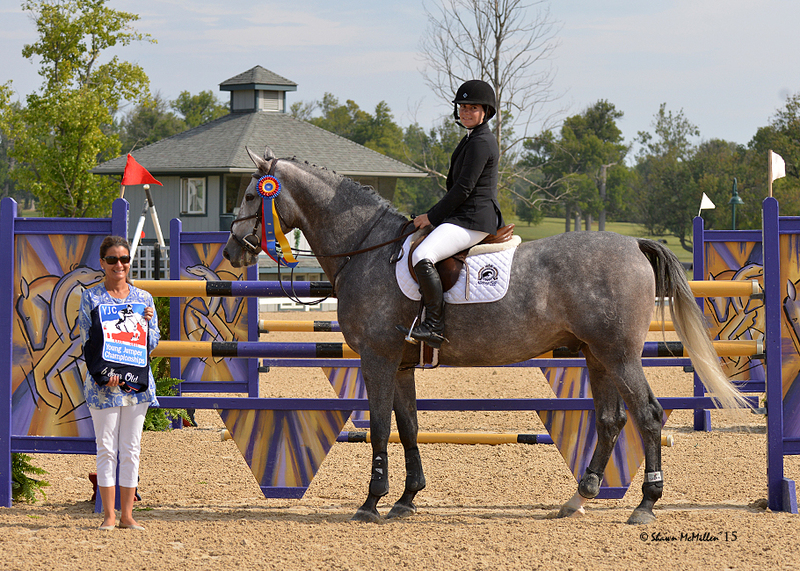 Tiffany Hammack and Cassini Du Boy won the 6-Year-Old Young Jumper Championships at the Kentucky National Horse Show. Photo by Shawn McMillen. Lexington, KY – September 19, 2015 – When Cassie Berke started her Notting Hill Farm in Richmond, IL, this year, she had no idea the road would lead to a Midwestern Championship so soon. The farm can add the 6-Year-Old YJC Midwestern League Championship at the Kentucky National Horse Show to their 2015 accomplishments, thanks to rider Tiffany Hammack and Berke’s Cassini Du Boy (by Cassini I). The horse has had a fantastic season and today, rose to the occasion over a very challenging course and a very fast jump off to earn the tricolor. "I couldn't be more excited or thrilled with Tiffany and Cassini Du Boy winning the 6-Year-Old Jumper Championship!” exclaimed Berke. “Tiffany has done an amazing job with Cassini Du Boy this year since he has hit U.S. soil. Cassini is such a laid back, level headed horse, who will give you everything he has when he goes into the ring and has proven that by coming out on top today. He's one of the horse's I love owning, he’s always willing, always in a good mood, and always lovable." Hammack of Hawthorn Woods, IL, and the handsome grey gelding were clean in the 6-year-olds the first day of the YJC Championships and sixth after the speed class day two. “I just wanted to go clean,” said Hammack of the second day, knowing she could make the third round with a fault free go. The Holsteiner won his first class in the U.S. in Wellington in the 1.10m jumpers and continued to win 6-year-old classes during the winter circuit there and throughout the season in Chicago and Kentucky. Hammack has put every step into the horse and Berke has been a supportive owner since the day he arrived in the states last November. Berke and Hammack both have a true love of horses and enjoy importing them and bringing them along, earning their trust and sharing in their accomplishments. They teamed up after the winter circuit last year to create Notting Hill Farm, where they specialize in importing, training and selling horses to good homes to continue their successful careers. The Notting Hill team will give their horses a rest before heading to Wellington for the winter circuit. 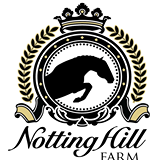 To contact Notting Hill Farm for some of their great sale horses, message them on Facebook or email them at nottinghillfarm1@gmail.com. Contact Tiffany Hammack at 630-346-4037.